The Katikati Millennium project of a haiku pathway along the Uretara Stream has matured. 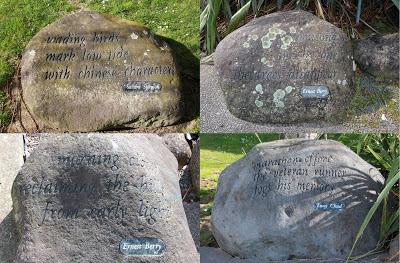 It is believed to be the largest display of boulder haiku in english, outside of Japan. The words evoke images and if you look around you realise how well chosen they are. Alison Furminger visited this Haiku Trail many years ago, Diane Johnson has revisited recently. Click on each picture to enlarge it and make reading the haiku easier. There are more boulders on the trail than are shown here. 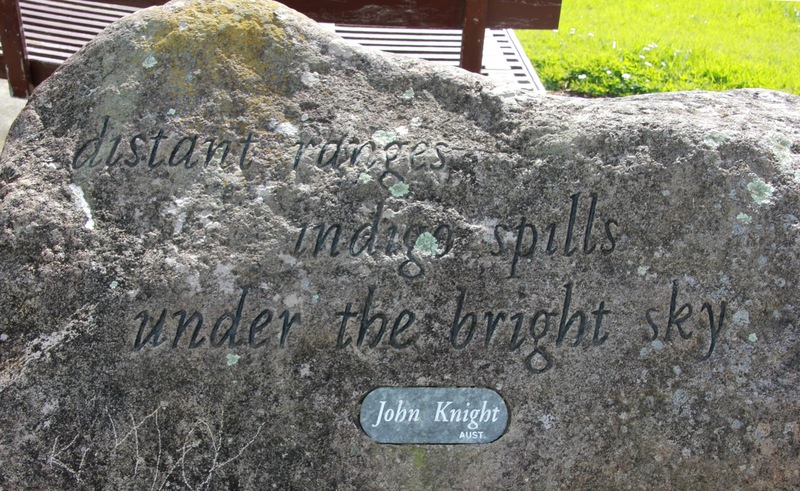 If you are out and about and see examples of calligraphy being used in unusual places, send some photos to show us, perhaps we could even visit and see for ourselves. Diane Johnson was the photographer for this series.